LAUREL or HARDY: Laurel AND Hardy.... but not together! 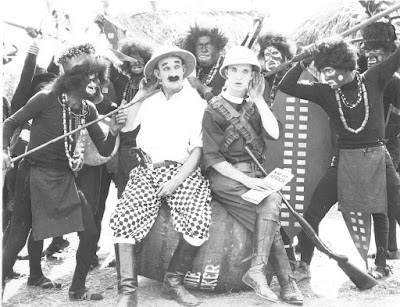 Stan and Jimmie Finlayson in Roughest Africa, a Hal Roach two-reeler from 1923. This was Stan's first two reel comedy for Roach. Likely shot as a one reeler they overshot enough to expand into two reels. They actually shot so much footage that outtakes were used as flashback sequences in The Whole Truth (a Roach one-reeler featuring Stan and Jimmie released two months later). One of Stan's more readily available solo films... but usually in a condensed one-reel version. 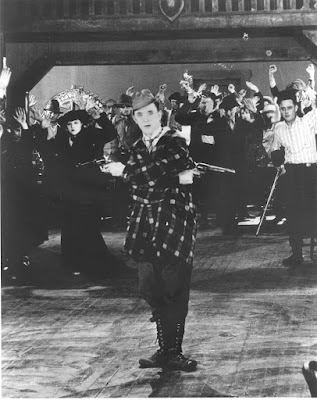 Stan in 1923's The Soilers. Thanks to the Fractured Flickers segment entitled "Half-baked Alaska" this is perhaps the most often seen Laurel solo film by non-film geeks. Certainly one of Stan's better comedies, the film also features Jimmie Finlayson and George Rowe in great support. This film also was long available only in a one-reel digest it was actually a two-reeler (his third for Roach, Frozen Hearts being the title released between this film and Roughest Africa). Oliver Hardy, Charley Chase and Martha Sleeper in the excellent Fluttering Hearts, a 1927 Hal Roach two-reeler. 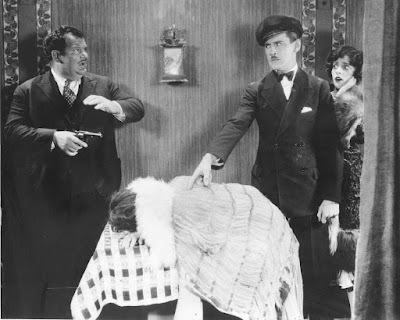 Next to Thelma Todd (and who wouldn't want to be), Babe was the best supporting player to Charley Chase ever. From as early as Married to Order (a non-Billy West King Bee shot in 1918 but released by Reelcraft in 1920) through a group of films at Roach in the mid-20s the two just flat out worked well together. Sadly this film was the last time Hardy solo would be seen in support of Chase. Yeah, yeah I know if Babe had kept working with Charley then L&H might not have happened, blah, blah, blah. Thank you for your Blog, Rob. I have your book and it is about a "Bible" on the solo films, as the McCabe Kilgore Bann is the "Bible" on the pictures.